Each year owners from Archadeck’s around the country, now numbering 58 locations, assemble for a national conference. One of the exciting things we do is have a design contest. Design consultants from offices across the country enter their best projects for decks and porches , which were scrutinized by the toughest judges we know – our peers. The Austin Team has been the recipient of many of these awards in years past and this year was no exception. 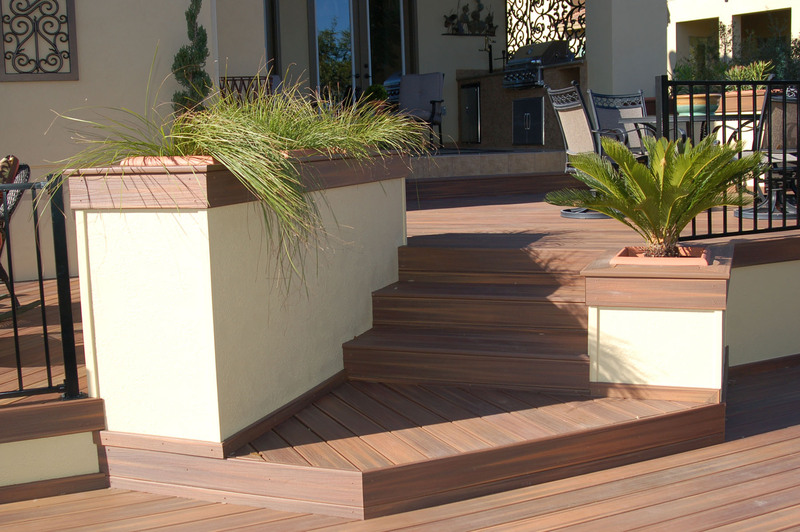 We took first place on the deck design with a beautiful 3-level composite deck with Fiberon Ipe decking and stucco skirting to perfectly match the house exterior. No project is worth its salt if it does not look like an original part of the home. The Austin Team strives to make this a reality in every job we undertake. 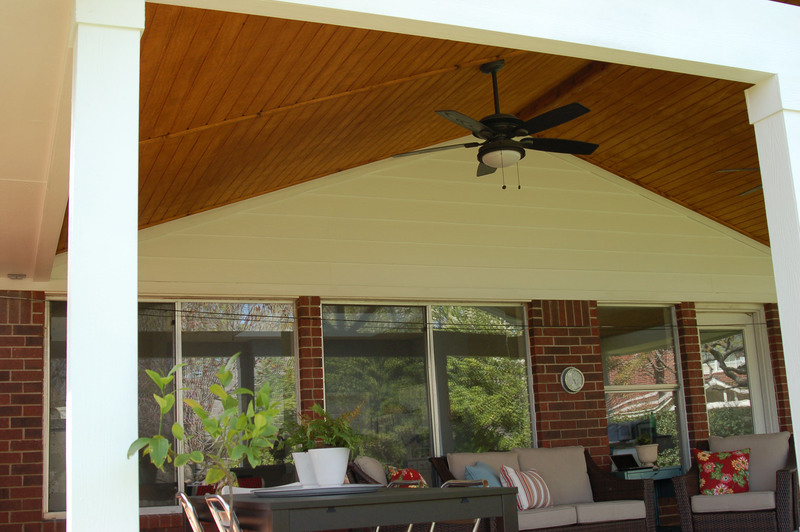 When finished, this deck provided the owners with additional living space that opened up a lovely back yard view, bringing the outdoors in as a significant addition to their living space. Who wouldn’t enjoy relaxing in some cushy outdoor furniture, drinking a cool beverage, at the end of a hectic day? Here’s another photo of this lovely deck. Can’t you just see yourself here? This is proof positive that design excellence is forefront in our mind. 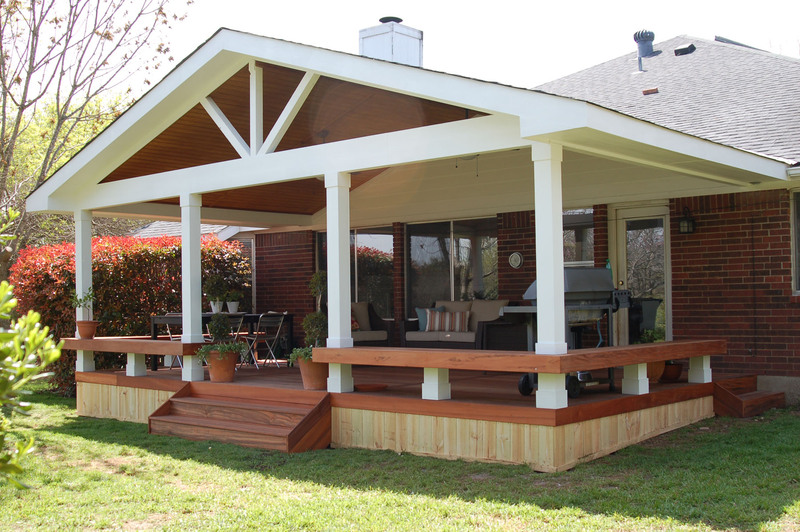 Our customers get a beautifully crafted, custom designed outdoor living space; professionally managed with a superior level of customer service, and backed by a strong warranty. 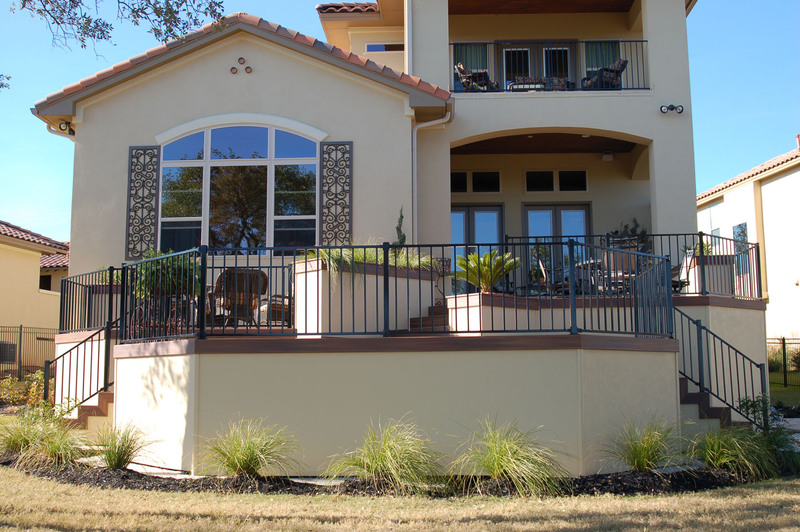 For Archadeck of Austin, it’s all about making design a reality and making that lifestyle you want come true. This entry was posted on March 1, 2011 by austinporchandpatio. 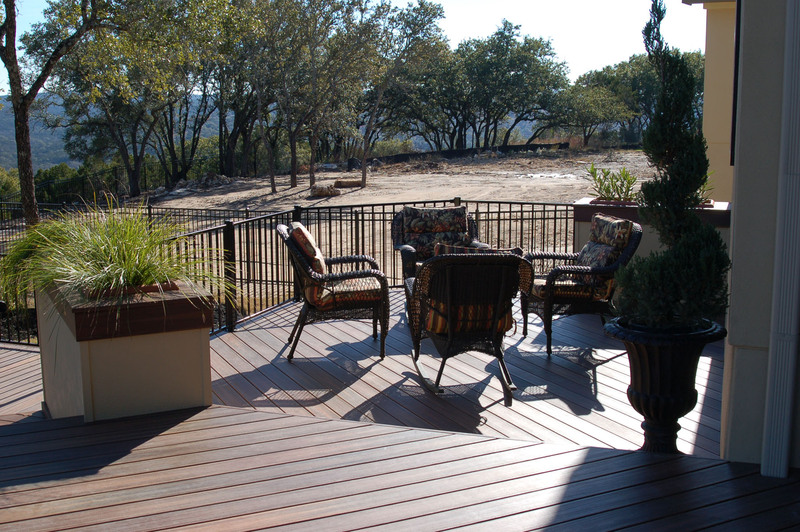 It was filed under 3-story decks, Austin decks, Fiberon Ipe, Multi-level decks, Skirting, Tigerwood and was tagged with Archadeck of Austin, Austin deck builder, Austin decks, Austin tiger wood decks, Fiberon IPE decking boards, Tiger Wood decks Austin, tigerwood decks austin.